Food lovers rejoice! 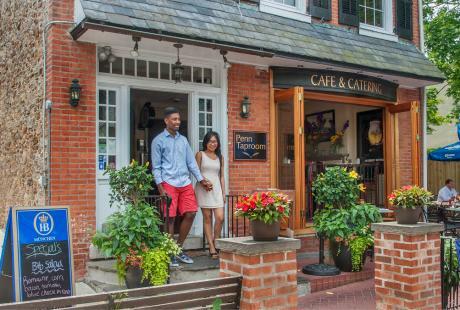 Bucks County is full of incredible food destinations where talented and inventive culinary connoisseurs whip up delicious treats made with the finest local and wholesome ingredients. 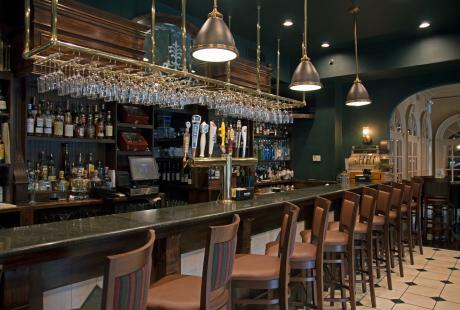 These small batch operations pride themselves on making the best in town. From condiments and candies to pastries and pies, check out these unique hidden food gems that only the locals know about! • Family-owned and operated, Eat This, a shop in Erwinna, PA, is focused on all-natural, sustainable, locally-produced jams, marmalades and more. All of their products are packaged in German-made Weck canning jars and are made from scratch without any artificial ingredients or preservatives. Named one of Oprah&apos;s Favorite Things in 2014, all products are available wholesale. 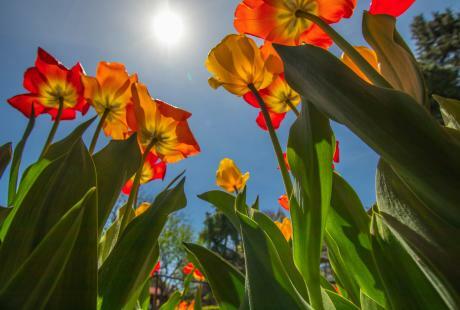 • For truly unique treats, visit Peace Valley Lavender Farm. Made with the lavender grown on the farm, Peace Valley makes lavender-infused honey and Honey Chocolate with a taste like nothing you&apos;ve tried before! Take home their Organic Culinary Lavender to get that same unique taste in your own cooking! • The folks at OWowCow Creamery are focused on one thing: making delicious ice cream! All of their premium ice cream is made using locally sourced, organic ingredients from local farms in small batches. In 2013, Trip Advisor readers voted it into the Top Ten Ice Cream Shops in America (via the Huffington Post). • The MOO Truck has been selling locally produced foods and terrific burgers out of their food truck and now out of their retail location in New Hope for years. Fresh burgers made from meat ground on the premise, veggie burgers, chicken burgers, homemade soups, grilled cheese, shakes, root beer floats, French press coffee and even a PB&J sandwich - local jam, homemade peanut butter- are just some of the delicious items on the menu. • For more than 13 years, Laurie&apos;s Chocolates has been handcrafting small batch chocolates using local ingredients to bring customers the freshest and tastiest confections! Using only pure chocolates and local ingredients including wine, honey, butter, beer, pretzels and more, Laurie&apos;s award-winning creations are not to be missed! 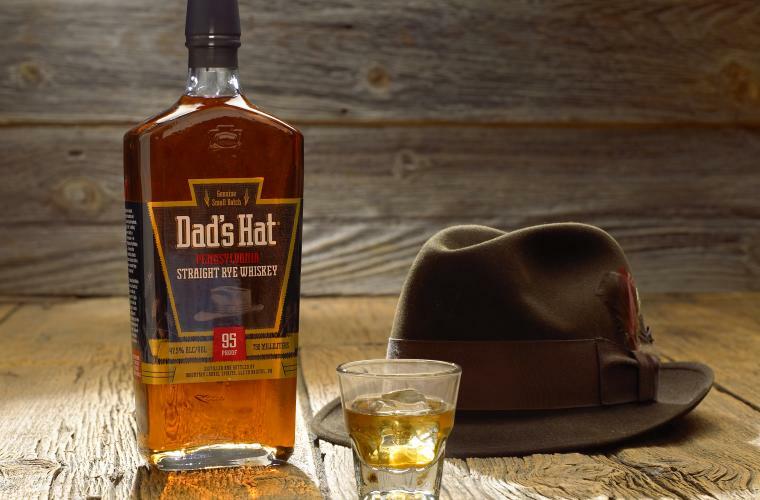 • Dad&apos;s Hat Pennsylvania Rye Whiskey was started because founders wanted to make whiskey the right way: by hand, in small batches, using only natural, local ingredients and the most careful methods. Take a tour of the distillery to get a personal look at how their famous rye whiskey is made, including a tasting and the opportunity to buy some Dad&apos;s Hat products! • Buckingham Valley Honey provides some of the region&apos;s best tasting, all-natural raw honey. Beekeeper Joe Ridgway is known as "Bucks County&apos;s Bee Whisperer" and offers consultation services for the maintenance of Delaware Valley hives for schools, homes and commercial clients. Every honey with the Buckingham Valley logo comes from hives local to Bucks County, PA and are all small-batch all-natural products. • Twice-baked in small batches, the biscotti at Bucks County Biscotti Company are always fresh, all natural, trans-fat-free and preservative free. Baked fresh daily, their delicious treats come in all kinds of flavors, like lemon poppy, sea-salted chocolate toffee, classic anise almond and more! • The delicious chips from Brad&apos;s Raw Chips start with a base of healthy vegetables and seeds which are ground together, laid flat, cut and dehydrated. These popular and healthy chips are sold in stores like Whole Foods. Their headquarters, called the Chip Factory, is right here in Bucks County and serves as a hub for education, inspiration, support and fun. 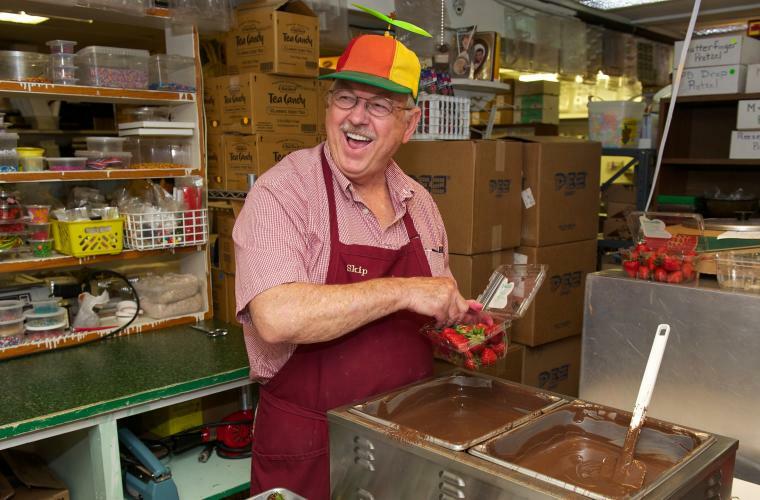 • Local favorite Skip&apos;s Candy Corner has been at Peddler&apos;s Village for more than 20 years and, more recently, owners opened Skip&apos;s Sugar Shack, a peanut/tree nut free facility. Three generations are involved in the day to day operations of the business, whose candies are sold in 50 shops throughout 10 states. 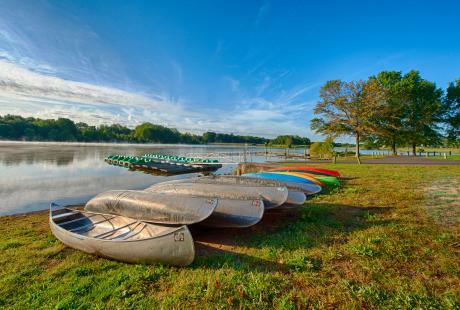 • Located in the heart of scenic Bucks County is Solebury Orchards, known for their pick your own fruits, including blueberries, cherries, flowers, blackberries, tomatoes and apples. This picturesque farm is famous for their delicious apple cider and high quality fruits sold at their market. • Tanner Bros Dairy Farm has been in the dairy business for more than 100 years! Ask local families and they&apos;ll tell you Tanners is the place to go for homemade ice cream, fresh made milk and more. • Besides being an amazing bakery, Factory Girl Bakery sells "Jolly Julie&apos;s," a line of jellies and jams made with organic fruits right in their kitchen. Flavors include Concord Grape, strawberry, orange marmalade, blueberry-lemon, lemon curd and mixed berry with more to come! 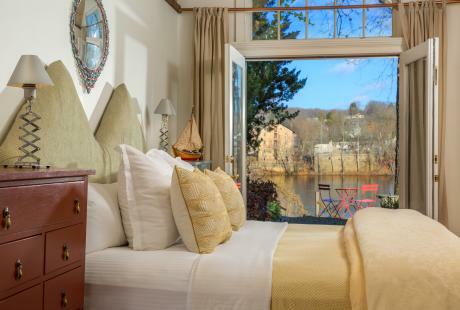 • Nestled on the banks of the Neshaminy Creek, Castle Valley Mills of Doylestown has been grinding Bucks County grains since 1730. Today, the family-run operation produces some of the finest stone ground flours, meals and grain mixes in the area. • None Such Farm in Buckingham is known for their sweet corn, with 35 acres of corn in production per year. Directly across the street from the farm is their Market, which has everything you need for a great meal including fresh produce, a meat shop and deli. • After 25 years restoring and converting barns into custom homes, Sean Tracey, star of the reality show "Barn Hunters," opened Hewn Spirits, a distillery in Bucks County. All their products are made of grains grown less than 10 miles from their distillery and rest in unique and rare reclaimed woods, adding to their character of their aged spirits. • Gregory Benjamin, founder of Gregory Benjamin Purveyor of Fine Homemade Jams, Preserves & Gift Boxes, began making preserves with his neighbors when he was eight years old. That love continued for years and now he sells more than a dozen different flavors of preserves, for which he was named Best of Philly in August 2013 by Philadelphia Magazine. • Located in a 19th century barn along the scenic Pennsylvania Tow Path, the Homestead Coffee Roasters have been roasting coffee since 2006. Featuring more than 15 different brews, their coffee is made with carefully sourced beans to ensure each cup of coffee lives up to their high standards. • The candy at family-owned Raymer&apos;s Homemade Candies is made using the art of ‘pan candy&apos;, recipes based on the natural caramelization of fresh cream and sugar, poured into pans or hand rolled. The more than 50 varieties of homemade candies, like Geneva creams, specialty fudges and caramels, are made with the same natural ingredients the family has been using for more than 80 years! • Breadbox and Bakery in Perkasie specializes in making Artisan breads and pastries using only local products and ingredients.